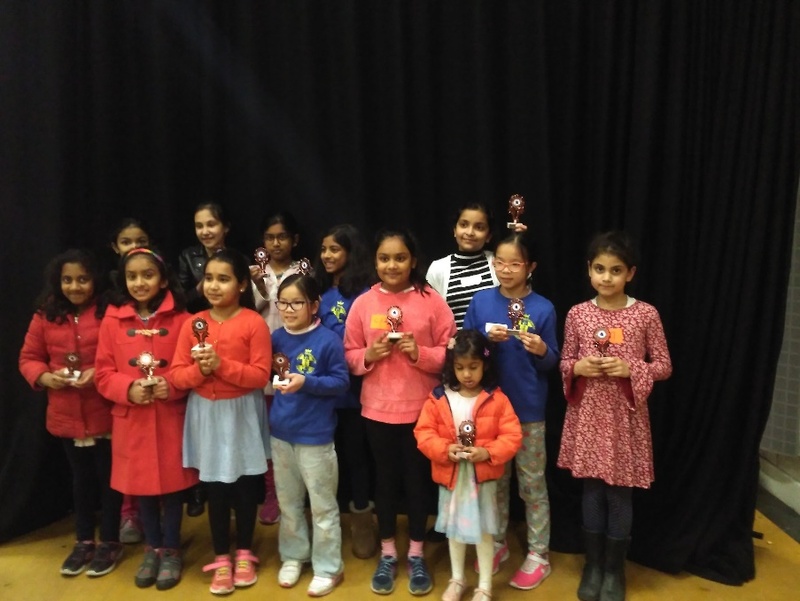 Girls from Berkshire Junior Chess Association played three rounds of chess matches in this EPSCA Girls U11 championship jamboree style tournament on March 24th in Oxford against 11 other county teams from across the country - Barnet, Essex, Hertfordshire, Kent, Manchester, Nottinghamshire, Oxfordshire, Richmond, Sussex, Wey Valley and Wiltshire. Girls showed a consistent and excellent performance with 8, 8½, 7½ points out of 12 boards match to win 24 points in total and securing third place, which is commendable effort against some of the strong teams. Indeed, this is the best ever EPSCA result for a Berkshire team. We have never won medals in any of the main EPSCA competitions before! Congratulations to all the girls who played and enjoyed the day. A special thanks to Catherine Pham on board 1, who played her last U11 Girls tournament. She has been an integral part of this improving U11 girls Berkshire team for last few years. Team results can be seen here.